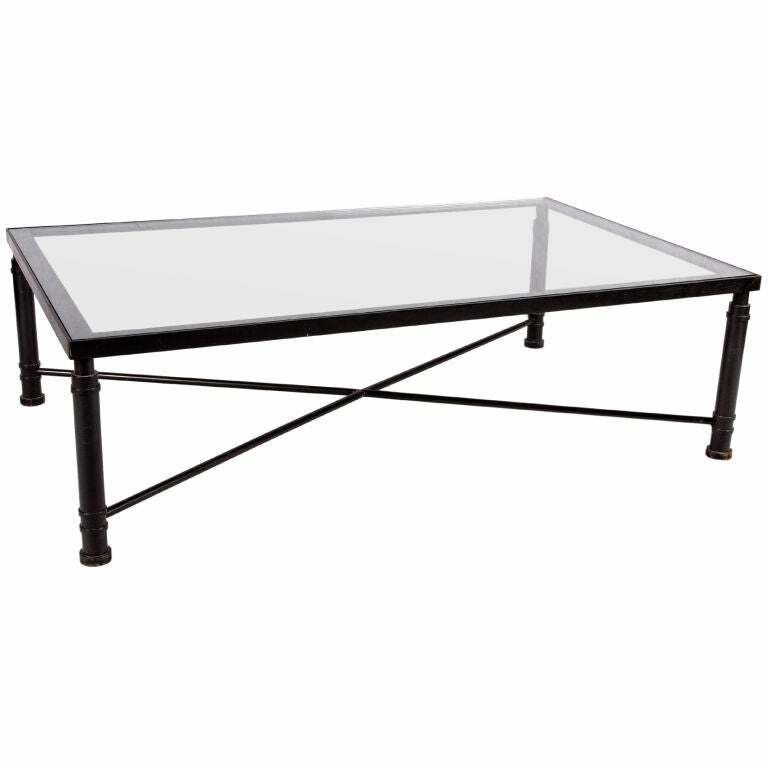 This black steel and glass coffee table designed by famed French designer Didier Gomez in the early 80’s has simple but classic lines that will let it mix in any setting. An X stretcher provides added interest to the ringed columnar legs. Kyoto coffee table. Signed with maker's stamp, Italy. Beech. Custom teak coffee table with a beautiful patina and handsome latticework inspired top. Perfect as a coffee table on a loggia or patio. Stylish glass top, brass and white metal table designed by Tommaso Barbi, Original, clean, ready to use condition. This beautifully veneered walnut coffee table is finished with a deep lustrous finish and framed in brass. Classic modernist mid-20th century look. Exceptional coffee table with stone top decorated with the 5 continents and 12 months of the year. 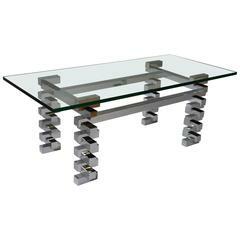 Coffee table in the style of Maison Jansen, glass top with veneered mahogany. Bronze rim and bronze feet. Grey smoked glass top, dark stained ebony matt finish and polished black nickel base. A table with drawers as coffee table.